Berrington showcases stunning works of art at both locations—in fact, there are 160-plus original pieces at each, created by artists from around the world. 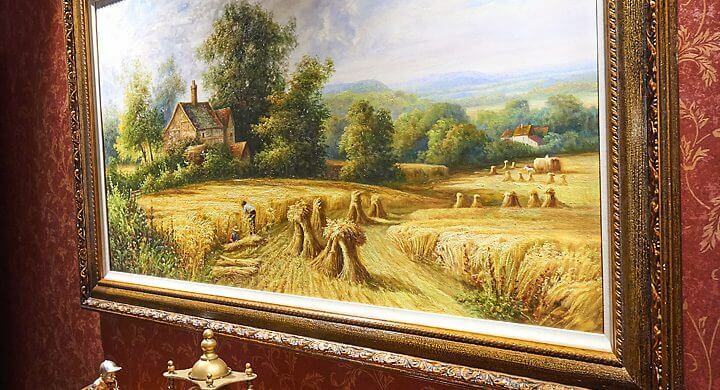 Though we love offering gallery-quality works of art for the enjoyment of our residents and their families, they offer a secondary vital purpose. The pieces of art around Berrington serve as a clear, memorable way to navigate through our spacious premises. Our residents, some of whom may suffer from cognitive difficulties, can use the artwork to remember where they are and how to get where they want to be. The art itself is beautiful but also serves as a strong association for them to determine where they are in our space, and more importantly, their home. Our artwork has been hand-selected by designer Mark Patterson, who travels nationally and internationally to find the correct piece for each place. Not only does it contribute to a magnificent environment, but it matches the décor in that particular area of our facility. You can spend an entire day with a family member or friend, just walking around, viewing each piece and taking breaks for coffee, tea or a meal as you wish. Because our residents are our sole focus, making them feel at home and having their every need catered to is our greatest priority. Using fine works of art in place of institutional signage that allows everyone to easily get around is just one of the many perks of the Berrington advantage.